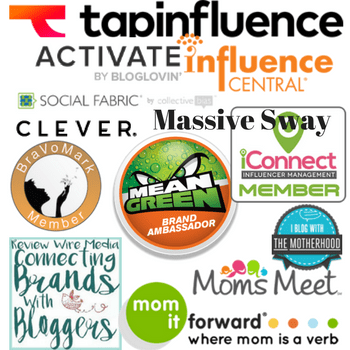 What do you value most as a parent when it comes to diapers? For me, I want a diaper that will last all night without leaks. I’m a light sleeper. When I wake up during the night, I’m up for the day. Even if it’s at midnight, I can’t go back to sleep no matter how hard I try. So naturally, as I stated, I want a diaper that stays dry all night. 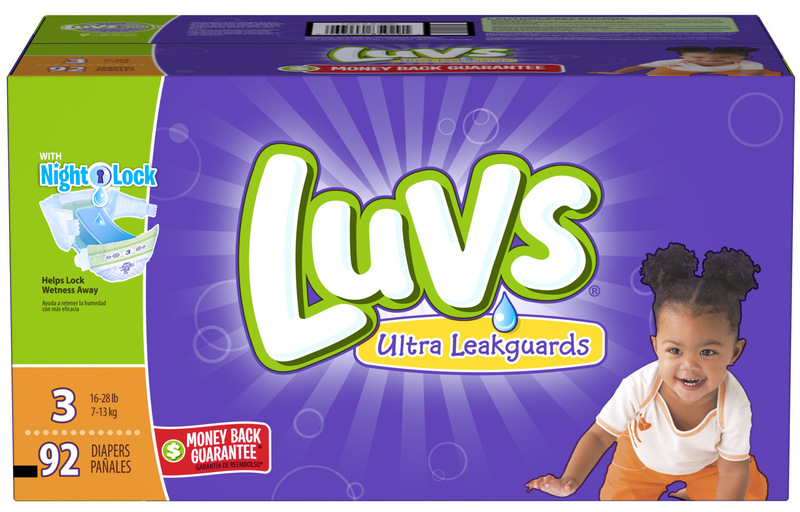 Luvs read my mind about this issue (no really, they did) and made an improved Luvs Ultra Leakguard Diapers with NightLock Plus™. 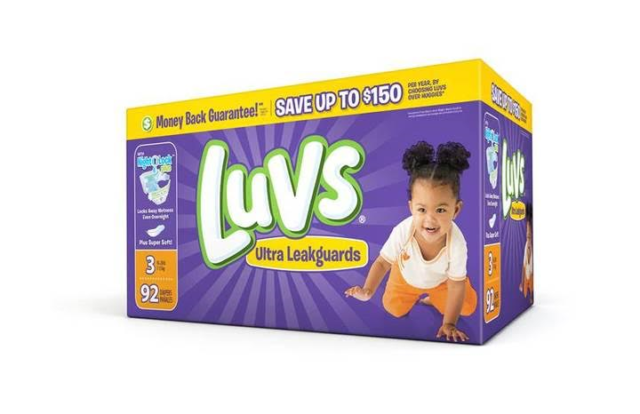 Luvs is the diaper of choice for experienced parents like myself. I’ve got this diapering thing down pat. I don’t know of any parent who isn’t familiar with Luvs but I’m sure there are some first-time parents that aren’t. 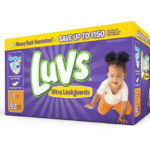 Even before I had my fist child, Luvs was on my radar as my diaper of choice and not just because they cost less than premium brands (while remaining quality made), but also because second and third-time mommies (4th, 5th, etc) in my expecting parent’s group recommended them. I rely on word of mouth for most of my purchases. If something works well enough to be recommended, I think it’s worth trying. One of the many things that I love about Luvs and that I think you will too is the large stretch tabs. The tabs are re-fastenable which is a good thing when you have a wiggly baby who won’t be still during diaper time. Luvs diapers are softer and more absorbent than ever before. Don’t you love companies that strive to please by improving on their (already near perfect) products? Besides having a great diaper, all parents need me time. Once the kids go to bed, I snuggle down with a good book. I read on a daily basis, in fact you could say that I read everything in sight. Except for unimportant things, like instructions ;). Everything else is fair game, though. So again, when all is well with the world and the kids are snoring away, I turn over diapering to Luvs (because parenting is hard enough) and I read myself to sleep. It’s important for our well being that we don’t get too stressed out to enjoy life. If we take care of ourselves inside (emotionally) and outside (physically) life will run much smoother. It’s true. Sometimes I spend “me time” by gardening. When the kids are napping and I’m caught up on chores, you’ll find me watering plants and pulling weeds. Reading and gardening are my pleasures. Maybe for you, you’d prefer going to bed early. Or what about taking a longer relaxing bath? It doesn’t matter what you do to spend your time for yourself, just know that you deserve that time. Decide right now that you will start spending “me time.” Even if it’s only a few days a week. FYI did you know that 2 out of 3 moms with kids 3 years and younger have never taken a day completely to themselves? I have to confess that I was in that category with my first child. Even if you don’t have any kids (or if you do but want to help loved ones) you can give the gift of “me time.” Say what? How is that a gift? I’m glad you asked. The best gift you can give any parent is to volunteer to watch the kids so they can take “me time.” You might decide you’d like to do their laundry if they use cloth diapers or clean their house. 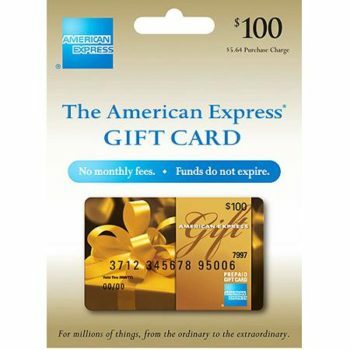 Fixing a nice meal each week would also be a great gift. Give someone you know and love the gift of themselves. I’ve been fixing meals for a couple of families in my area one to two times a month. Sometimes more if I can fit the time in. It’s my gift to them so they can spend the time they normally would cooking, doing what they love instead. It’s a great feeling knowing that I’m doing something constructive in this way so we both win. 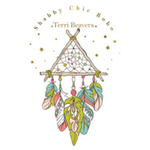 Because I’m all about finding deals for you, you’ll be happy to know that Luvs is offering a $1 off coupon for Shabby Chic Boho’s readers and followers. That’s you! Yippee, go print it out –>> https://www.coupons.com/brands/luvs-coupons. You can use it where ever you normally buy your Luvs diapers. Will be sharing this with my daughter for grandson Dr. J because a coupon and a full night’s coupon can’t be beat. Gracias. LUV the video 🙂 Thanks for sharing great insight into LUV diapers. Happy to share this with all my friends with babies! This is a great coupon. Diapers can be expensive for some parents so this coupon will be a great help. Talking with my cousin who just had a baby, I’ve come to understand just how much is spent on diapers. Any coupon is always going to be appreciated. I have to admit that Luvs was the brand I used for my second child. The price was right and they worked just as good as the other brand name diapers. Me time for any parent is so important for the parent and the family. If you don’t take care of yourself you can’t take care of others. Thanks for sharing your thoughts and the information. Do you know if you can get this brand in Australia? We use Huggies over here as we haven’t found anything else that works as well. I’d love to try this brand! My daughter jusy recently started using luvs diapers on our granddaughter. I can’t believe how much money she has been saving. I also used them with girls were they babies. My daughter uses Luvs diapers for my granddaughter. They work great! I agree that the gift of me time is great to give parents. We are long past the baby stage but I remember using these diapers on some little ones at the day care. They were great! The only ones that never leaked. Luvs diapers were one o f our favorite diapers when the kids were babies. 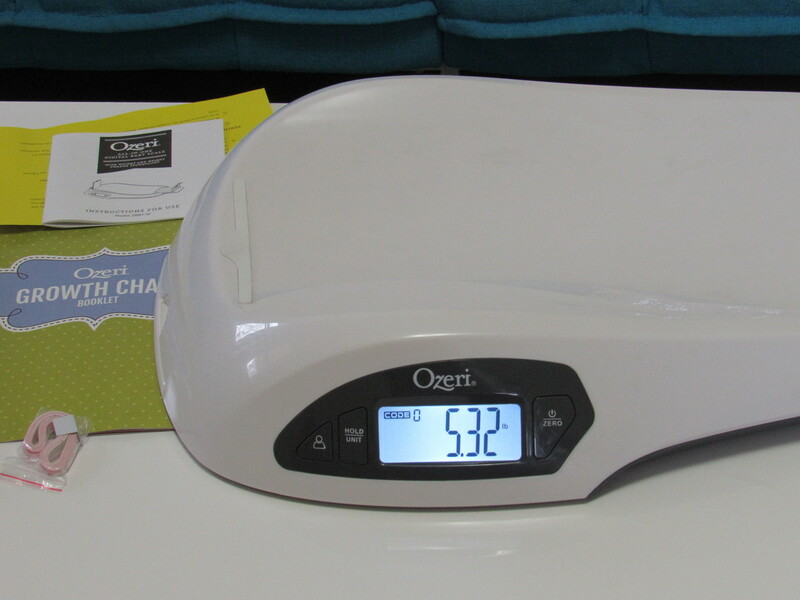 The diapers are absorbent and affordable. We always picked them up from the store. 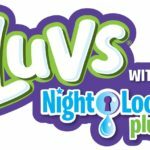 We used Luvs almost the whole time when my kiddo was a baby! We loved them! Those kids keep going and going and going! I am tired just thinking about it LOL. I like the time out time! I need to do this more often. I always preferred Luvs diapers to other brands. They seem to fit better and last longer than other brands. I will tell my friends with babies about this coupon. I am so glad that I am out of the diaper stage of my life. What I try to do is buy as many diapers I need for my friends and family with coupons to give away. Thank goodness we are out of the diaper stage, but Luvs were great when we were in it! I’m past the diaper stage, but I try to help my nephew and his girlfriend when needed. My other niece is a great resource when they need a babysitter as she is closer distance wise than I am. I used to clip coupons for diapers when my kids were in that stage. So glad to be out of it now, diapers are expensive and coupon helps save money. Ive never tried loves, I usually cloth diaper but will keep this in mind when we travel. My baby turned 5 last week so we are past the diaper stage. 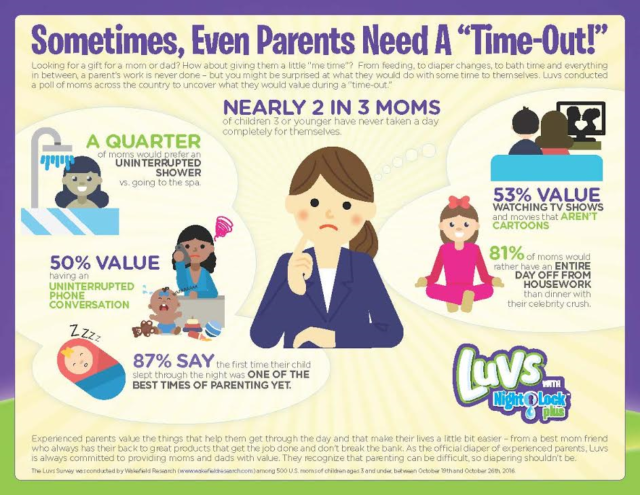 However I love that Luvs is encouraging “us time” as mothers that is something we forget to do. To simply take time out for us. This is a message worth sharing for sure. I love quiet time with my DVR and a cup of hot tea or ice cream. We have our grandchildren now and Luvs is still a staple in my daughter life. We both used cloth diapers but when we went out and about Luvs was what we choose to diaper our babies. Please give a mom a break and take the kids for a few hours. It will help her and you both. I always used Luvs when my boys were babies. This is an awesome coupon for parents of little ones. That is so good to know about the new night time Luvs. You know how it is to run in , go straight to your regular Luvs. I appreciate the reminder to have some time for myself. I am tbe worst at caring for me. Amen to that. They even outlast the energizer bunny, lol. We only use LUVS, they work amazing and last a long time.